NDTV India Ravish Kumar's Response To Hoardings That Said "Ravish's Prime Time Ends Now"
NDTV India's Ravish Kumar said: "Don't bother with whether I'm around or not. In journalism, the common man will always look for a Ravish". Journalists should not "spread toxicity" among themselves, nor should they "fan the flames of anxiety among viewers", NDTV India's Ravish Kumar said while accepting Best Hindi News Channel (Jury's Choice) at ENBA on Saturday. For the jury, he had a message - a special thank you for recognising that NDTV has been carrying on responsible journalism "despite efforts to douse the flame". Referring to hoardings in the city last year by a rival channel targeting his show "Prime Time", Ravish Kumar said, "Don't bother with whether I'm around or not. In journalism, the common man will always look for a Ravish". Last year, a rival television channel put up banner ads declaring "Ravish's time is no longer Prime" with the tagline: "The news will talk, not the anchor". 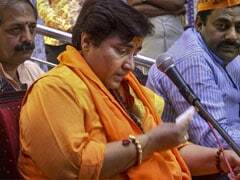 "Had their media planning team informed me that they were spending lakhs to declare that I will no longer be around, I would have told them, 'Distribute that money among poor journalists. I'm resigning from Prime Time' and would have gone home". 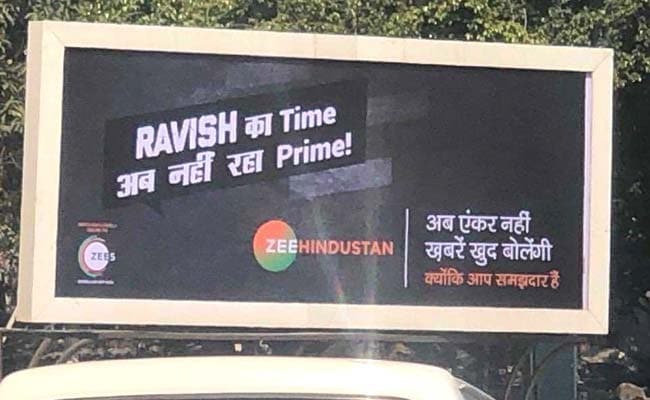 A hoarding by a rival channel targeting Ravish Kumar's show "Prime Time"
Ravish Kumar, who has been with NDTV for over 20 years, is popular across India for his insightful and fair reportage, along with his fearless plainspeak. In recent years, he has also faced sharp attacks and threats from critics. At the awards programme on Saturday, he said, "I just want to say, if you guys are honest about your intentions... you should fight for the rights of paramilitary forces... ask the government to give them pension... It is our duty to share these kinds of stories. The duty is not to put a board outside my office that my time is over." He was referring to Thursday's suicide attack by a Jaish-e-Mohammed terrorist in Jammu and Kashmir's Pulwama, in which more than 40 CRPF men died. NDTV has dedicated the award to the martyrs.